1 Design Trend: The Marble Texture is Back! 1.2 Should You Add Textures in Your Designs? Graphic design is a very complex art, and the road to becoming a graphic designer is not easy. So if you want to make things a whole lot easier, you’ll need all the tools you can get. For this reason, you will need to familiarize yourself with the different tools at your disposal. More importantly, you’ll need to hone your skills as it relates to the processes used in creating a design. 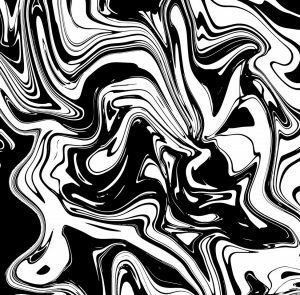 One of the graphic design tools that’s making a comeback is the use of texture. Among the popular ones is the marble texture. Creating a graphic design can be quick. Or it can take over a long period of time. Which is why it helps to have tools. It makes things faster, easier, and more convenient. Among the tools we use is the marble texture. It spruces up our designs. You’ve probably came across the term many times. Perhaps while working on a design for an icon, poster, or website. Texture is a very useful design technique. It’s a powerful tool that many artists use to create compelling and even life-like appearances in their projects. Which is why, mastering the use of this awesome tool will greatly improve your artwork. By definition, texture pertains to the feel of an object; the quality of its surface, so to speak. Now applying this meaning in graphic design, texture adds a physical illusion; it’s a visual element that breathes 3-D life to a flat surface. Think of texture as a warm sensation when you rub your skin on a rough fabric. Or the smooth glide when you run your fingers through strands of hair. Even if you close your eyes, you’ll know what you’re getting into contact. That is, to some degree, the goal in having textures in your graphic design. The goal of using textures in graphic design is to evoke all sensations we experience in real life. By incorporating these natural elements into the design, we, as graphic designers, hope it brings to the viewer’s mind the imagery of the object we added as a texture element. Inspirations like small feathers create a sensation of a gentle touch. Or with freshly cut grass, we hope it brings about the smell and crisp look in the mind of the viewer. By implementing these visual elements in your graphic design, textures add vividness, beauty, and warmth, effectively bringing it to real life. Should You Add Textures in Your Designs? Do you want to create a design that evokes emotion, memory, or past experience? Then textures are the way to go. Even if you want to go the route of minimalist art, you can still strike a perfect balance with textures. Adding another sensory joy on top of our sense of sight can give a more pleasurable viewing experience to anyone who will look at your design. So to answer that question, yes, it’s a good idea to add textures. Nothing adds more layers and multicolored elements to your images than textures. The different surfaces enhance the tactile experience. No wonder textures are essential aspects in visual art. In 3-D art, textures are among the most fundamental elements. Sculptors take it into careful consideration when creating their art pieces. To begin with, they contemplate on the material to use; whether it’s brass, bronze, clay, marble, or steel. The process also involves chemically altering the surface; the methods include painting, sanding, buffing, bleaching, polishing, or scorching. In graphic design, you can also give your art surface a unique feel. With decorative textural elements, you can fashion your design to achieve a distinctive visual effect. In this article, we are featuring marble texture. Marble texture is nothing new as it has been used in different types of artworks in the past. Most of these artworks can be seen on walls of edifices in ancient Greece. Now, it has marble texture is becoming a trend in print design, web design, product and interior design, and even fashion design. What’s distinctly perceptible with marble texture are the swirls of lines and mixture of colors. The appearance comes from what this metamorphic rock looks like in real life. When limestone is being subjected to heat and pressure, it results in its discernible consistency. Have you noticed its logo? Did you know “suminagashi” is a Japanese word for “floating ink”? It’s a traditional art of paper marbling. The marbled background is fun to us. It lets you see how the ink turns into a design that’s delicate and beautiful. This set is available for $18. The marble texture can be applied in stationery and cards. This is quite popular because it is very easy to make paper artwork. Want to dazzle and delight your viewers? Add glitter to an already classy marble texture by incorporating the high-shine elements of rose gold. 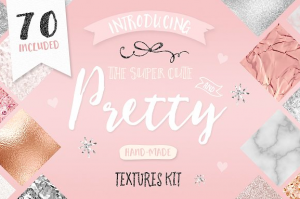 Check out Marble, Rose Gold & Pretty Textures by blog Pixie. One great thing about marble texture graphic designs is that you can use it in different ways. If you are looking for a casual finish, then there are colors and styles that you can apply. If you are looking for a more elegant finish, then this gold marble texture is the right one for you. You can use this kind of texture when you make paper bags for your product, or invitations for a formal event. You can get this marble texture with a golden finish for $10. 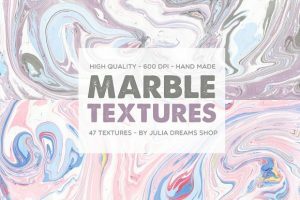 Looking for a marble texture background for scrapbooking, stickers, or invitations? 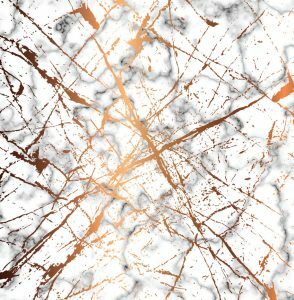 You’ll love the Marble Background Digital Paper. It’s great for web graphics, stationaries, and business cards too! This one’s a great template for brochures. Whether you want a celestial feel or mysterious effect, you can opt for softer or lighter color palette. Buy it for $5. 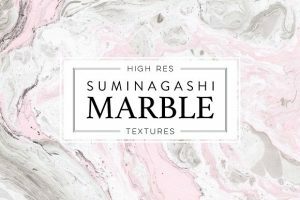 Want to get that natural finish in your marble textures? These design elements are absolutely right for any situation. Whether you’re creating a wedding invitation or looking to make postcards for friends. 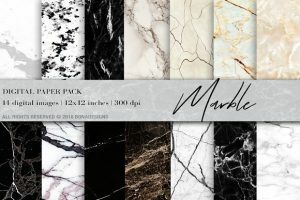 This marble texture will also be very suitable for magazines, posters, and brochures. Get it for only $12. Want to learn more tricks and tools? Get in touch with us.